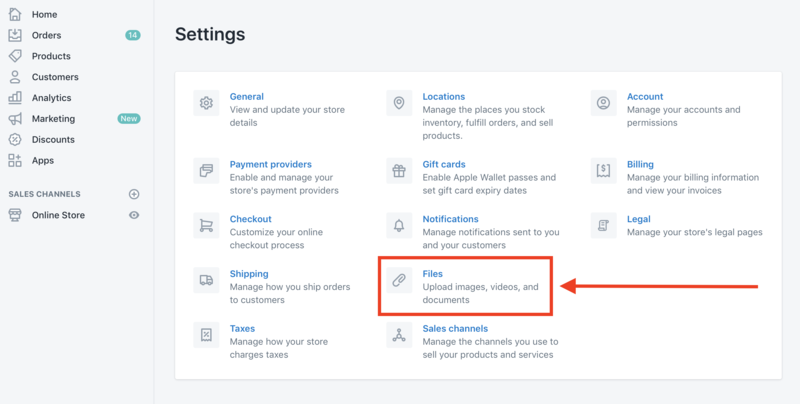 If you recently copied over your Theme and find that a lot of its Images are missing, this is because those Images were likely uploaded into the Theme via the Files uploader in your Store Settings. 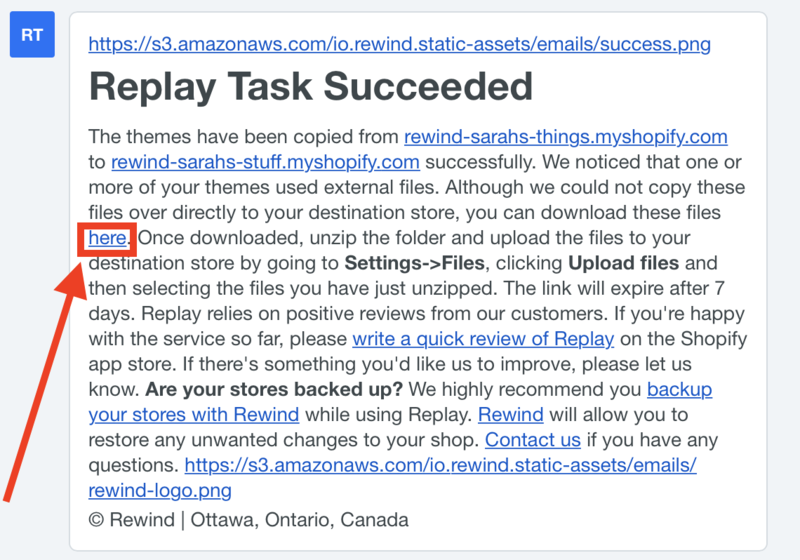 Unfortunately, Shopify doesn't yet provide a simple way for apps to access this data, so Replay is not yet able to automatically copy over the data within your Files section. Similarly, if you've copied over Pages and notice this same issue, it could also very well be due to the missing Files within the Theme. Click on the word " here " to automatically download the ZIP folder containing your Theme's Files. From there, because all of the Files' names match their names from the master store, Shopify will automatically sort all of the Files and place them where they need to go in the Theme.